Mass-production electric hatchback won't be Mini's first electrified vehicle, and won't be its last. Mini has been hard at work preparing a new fully electric production model. That much we've known for a while. What we didn't know until now is what it would be called, exactly. But now we do. When Mini launches the EV sometime "later this year,” it will be badged as the Cooper SE. Which only makes sense, considering that the British marque already sells vehicles badged as the Cooper S and diesel-powered Cooper SD (sold overseas). But the final nameplate gives us some hint at the model's apparent sporting pretensions. The nomenclature was buried within the announcement of Mini's new chief executive. Bernd Körber takes over as head of the brand from Sebastian Mackensen, who moved over this past October to to run BMW Group sales in Germany. It's something of a homecoming for Körber, who managed the brand until 2010 and most recently directed BMW's global brand strategy and management. 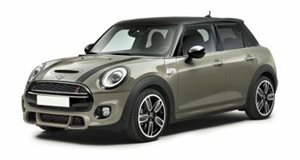 The automaker didn't say much else about the forthcoming Cooper SE, except to say that "more electrified models will follow.” It won't be the first, either, following the production Countryman Plug-In Hybrid and the Mini E, which was launched as a pilot/demonstration project in 2009. It also showcased the Mini Electric concept at the 2017 Frankfurt Auto Show, and an electric-converted classic a year ago. But the new Cooper SE will be its first mass-produced fully electric vehicle. Alongside the Cooper SE and change in management, Mini also confirmed that the new John Cooper Works GP will launch sometime next year.